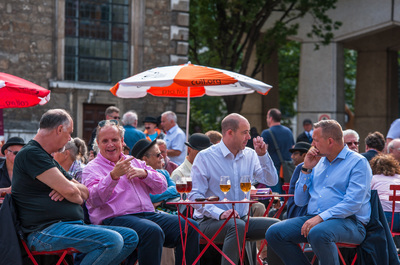 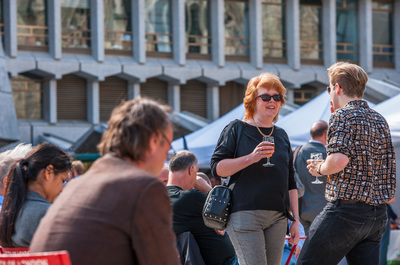 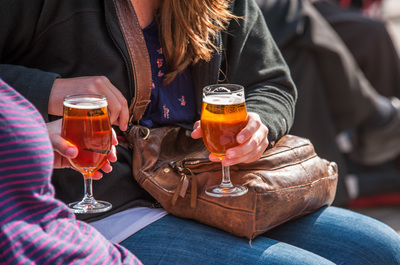 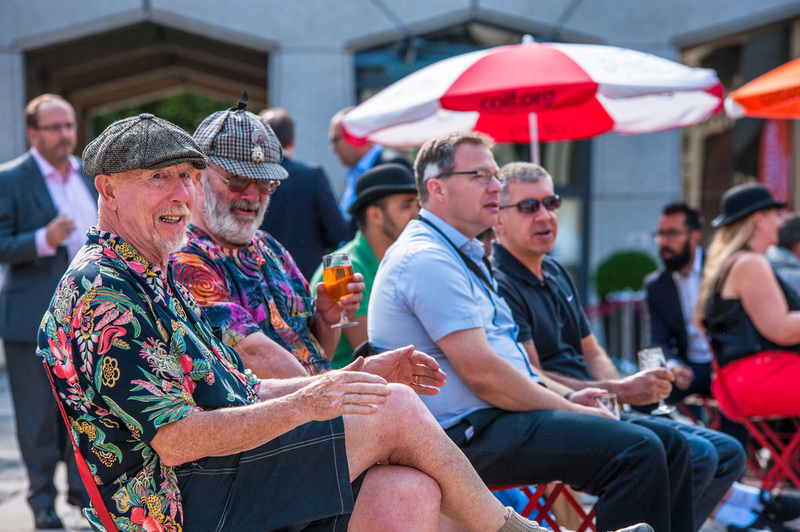 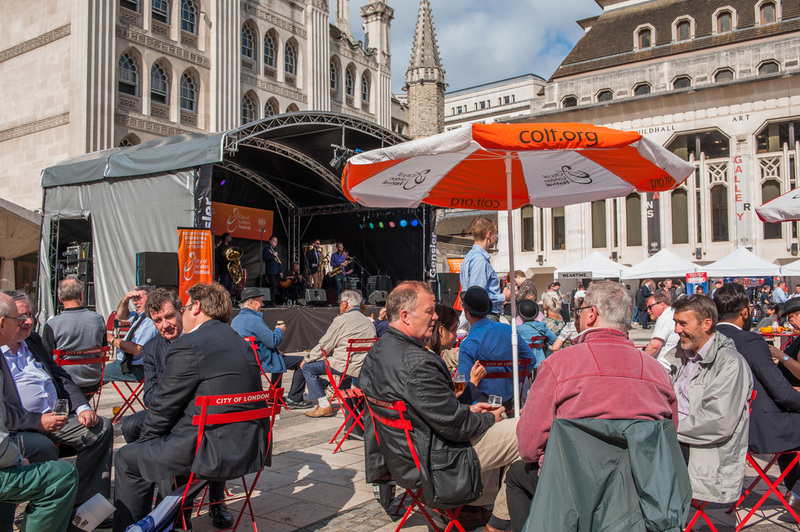 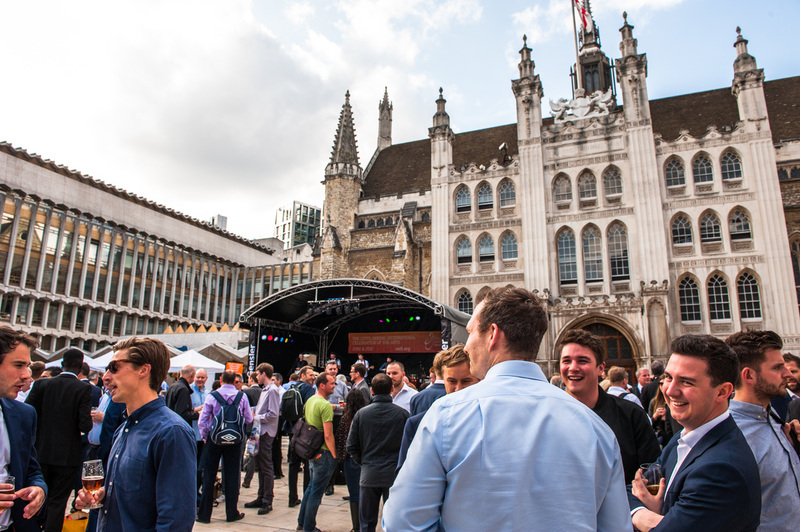 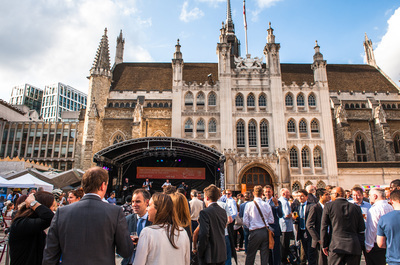 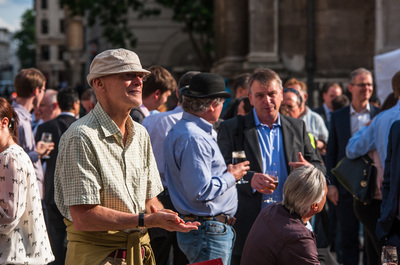 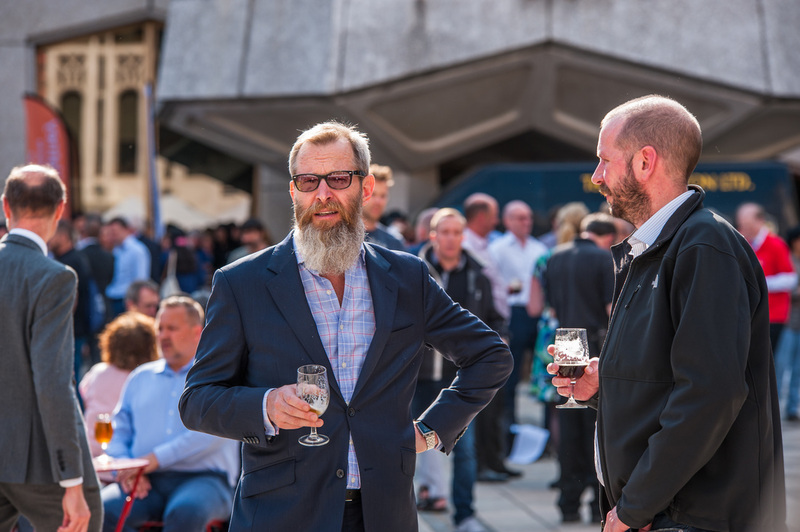 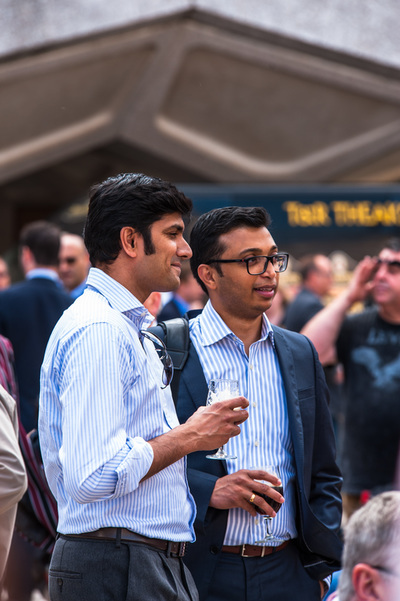 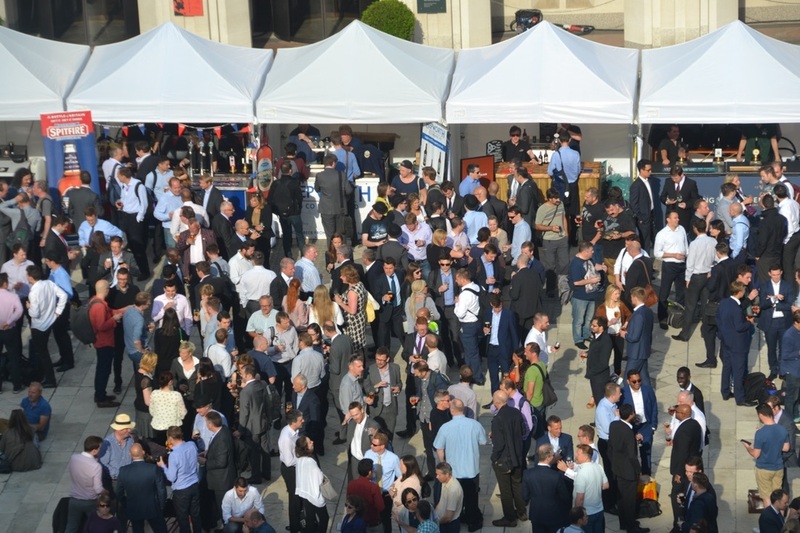 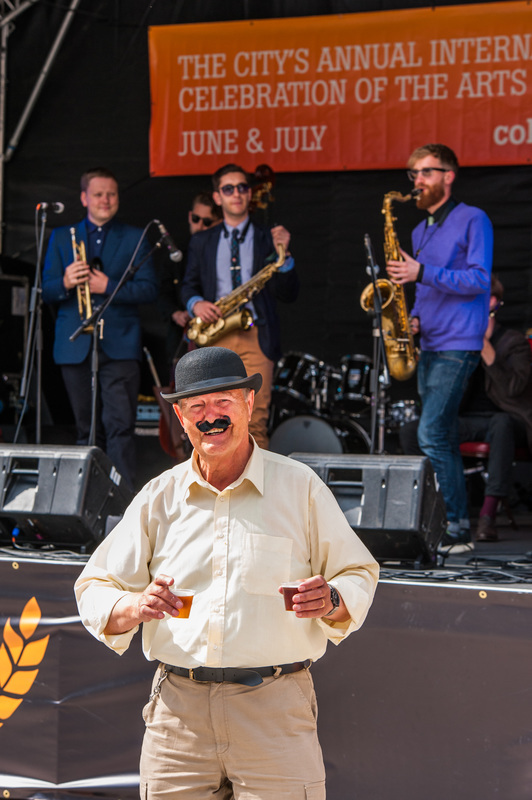 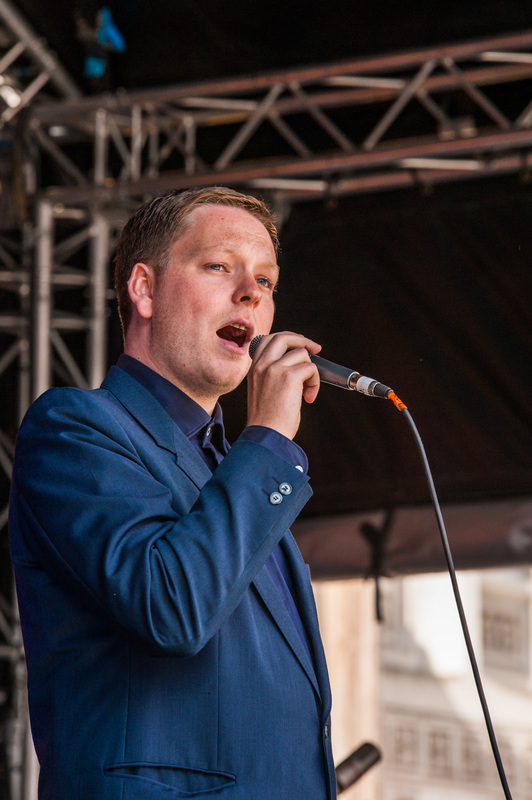 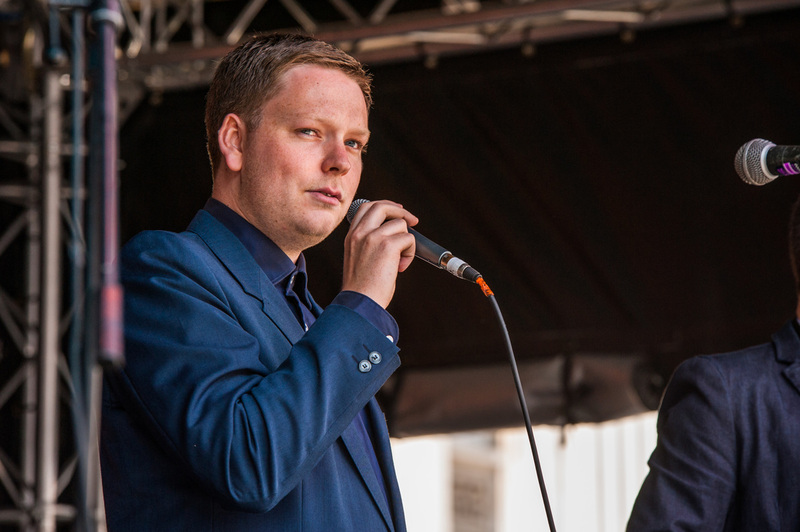 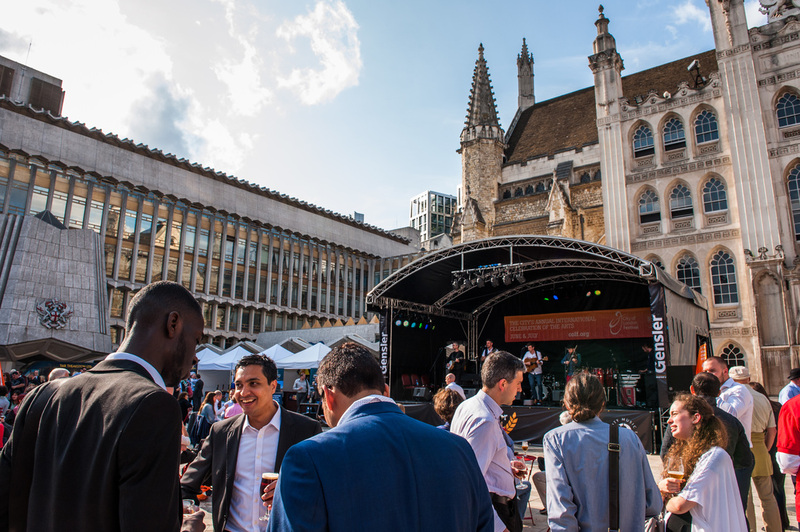 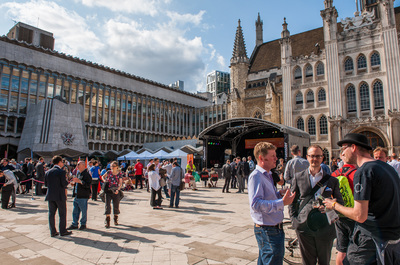 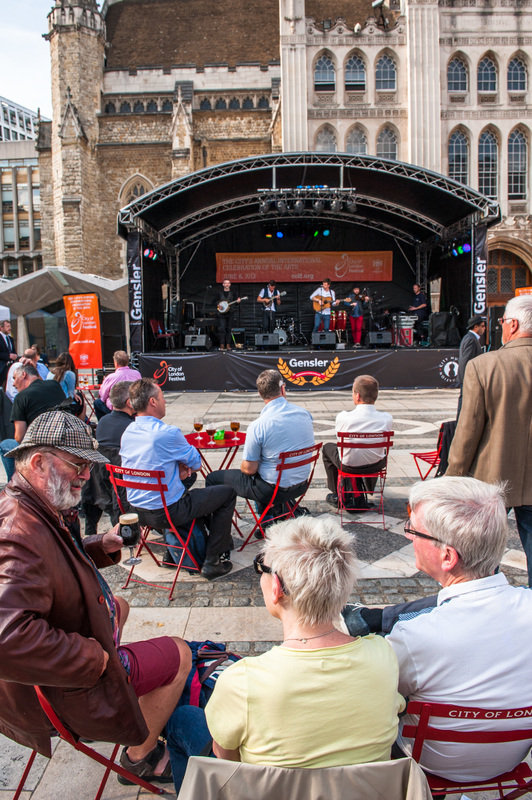 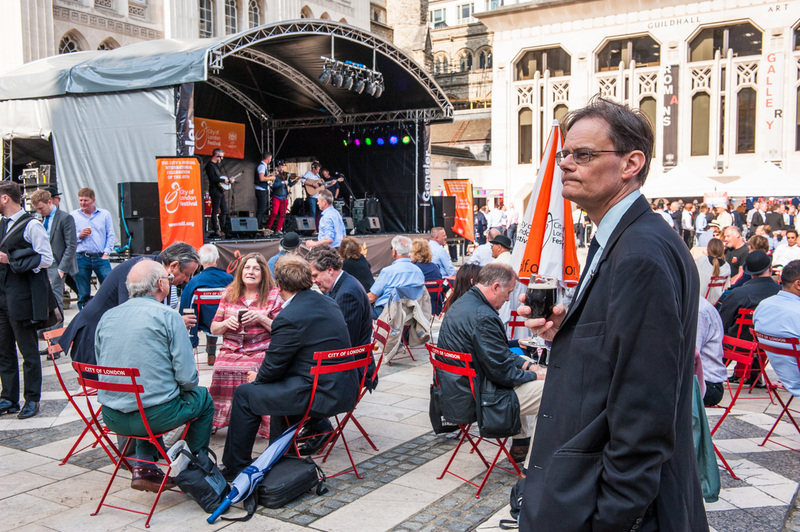 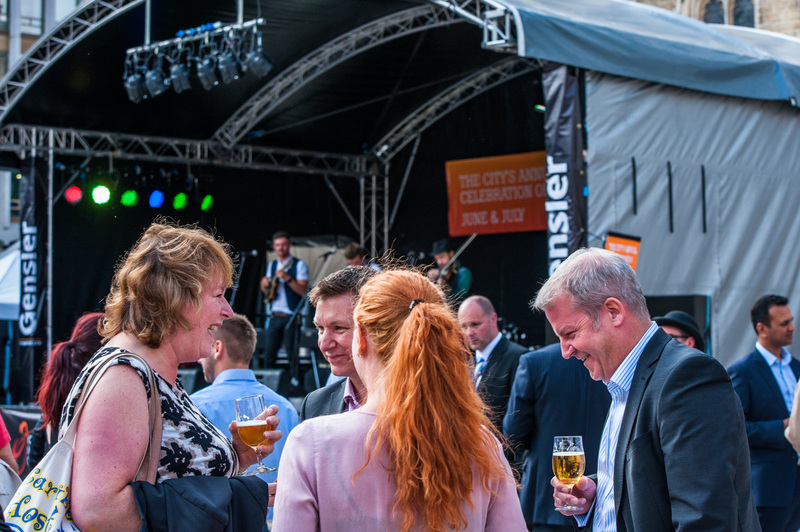 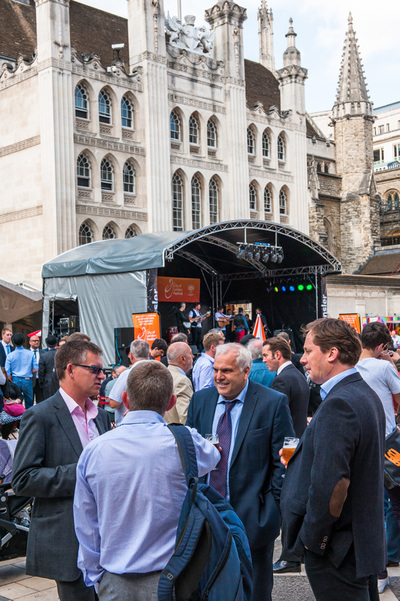 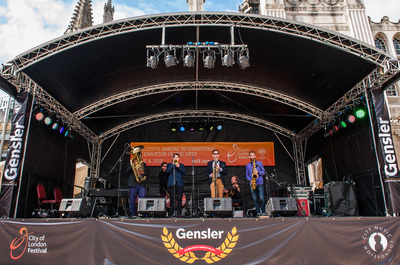 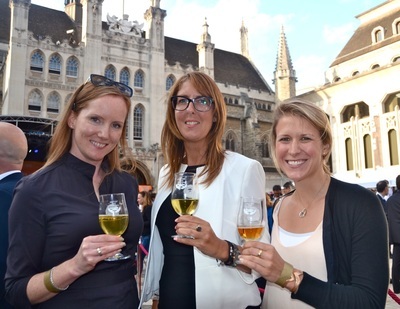 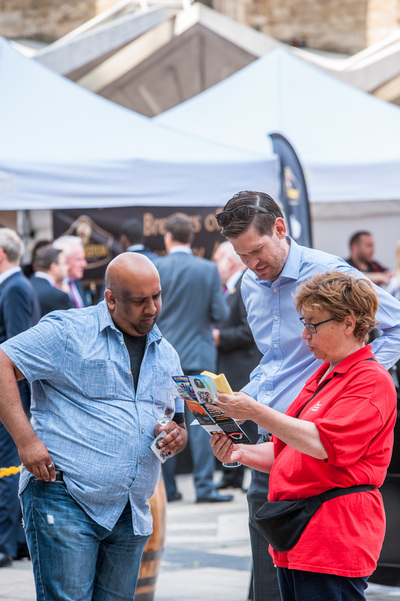 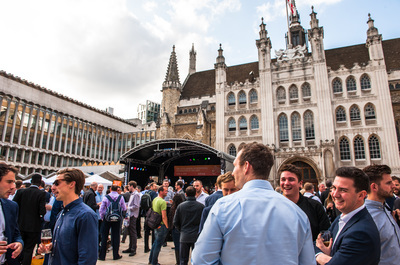 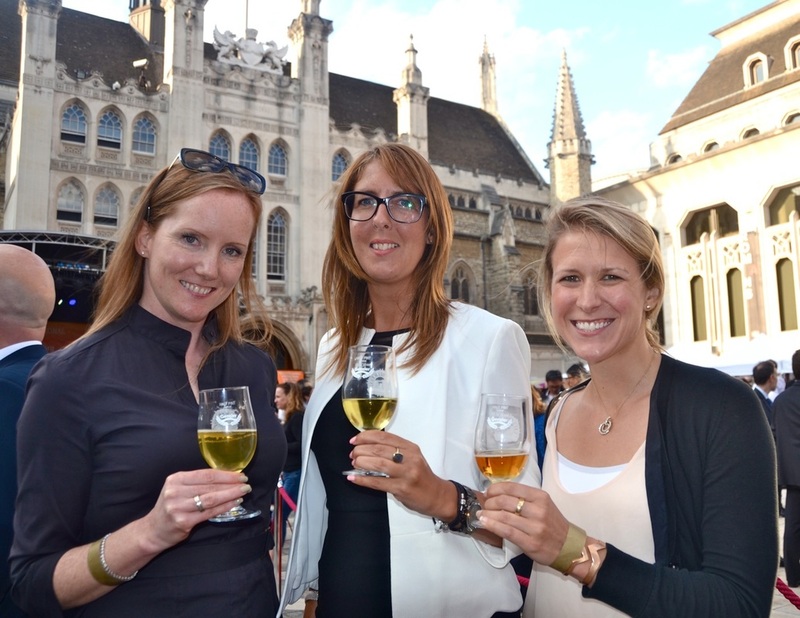 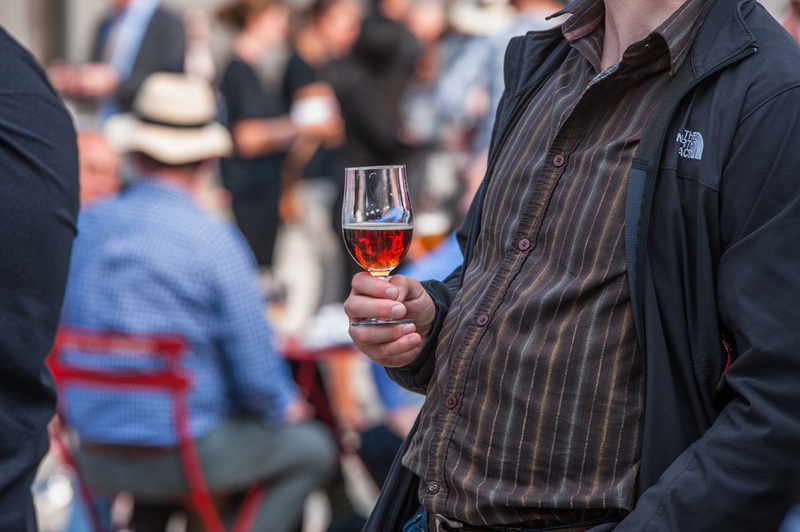 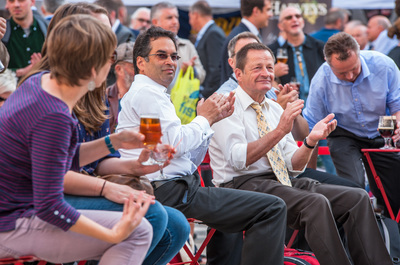 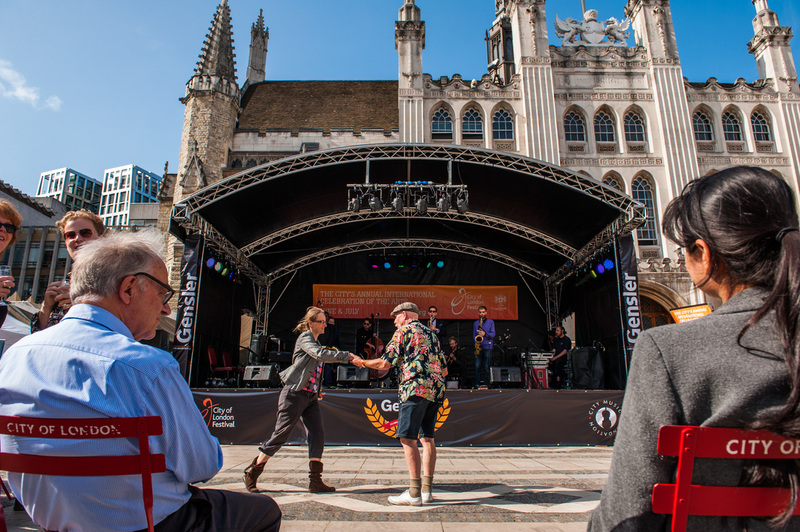 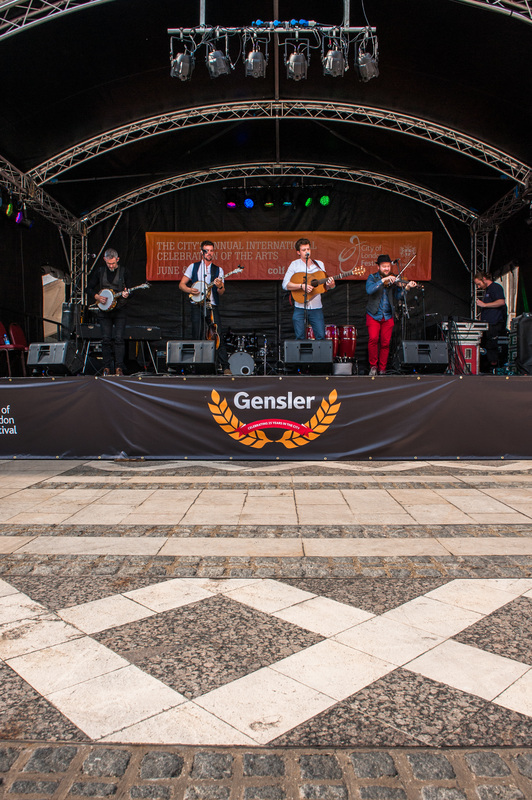 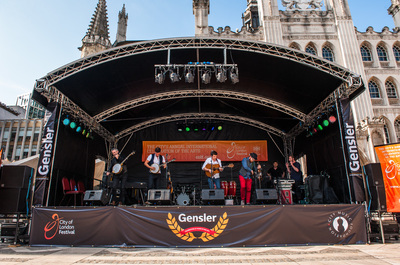 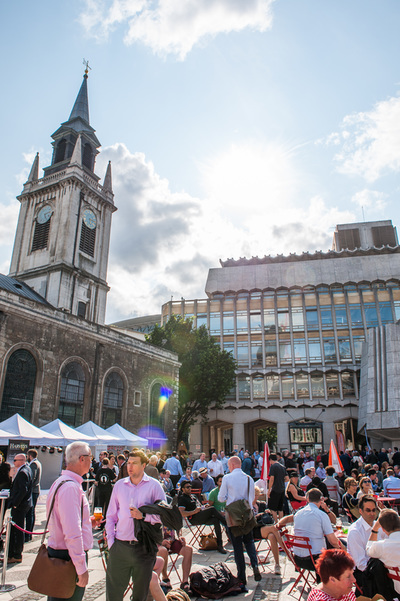 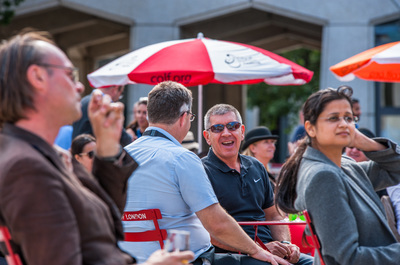 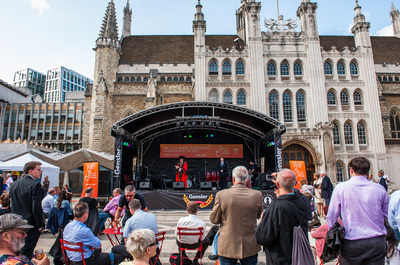 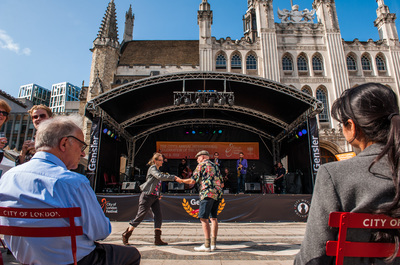 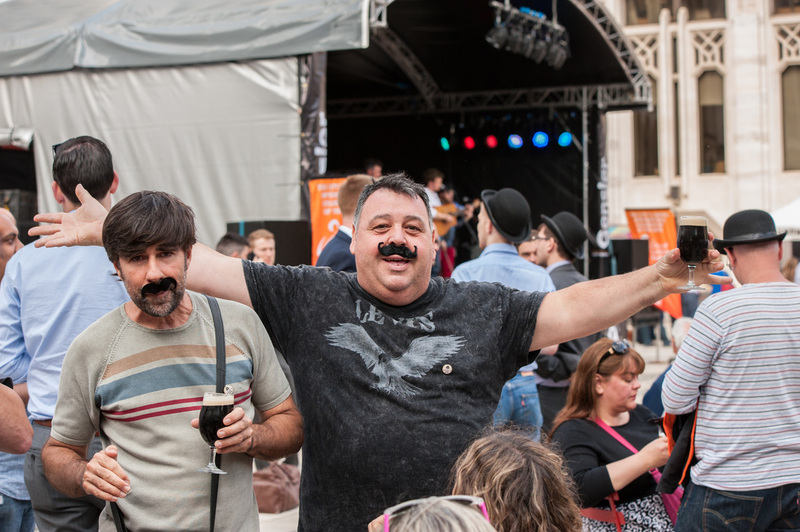 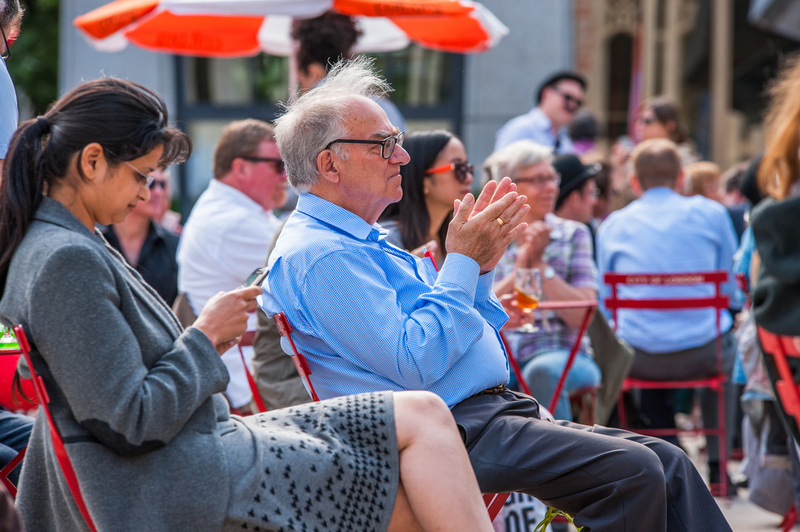 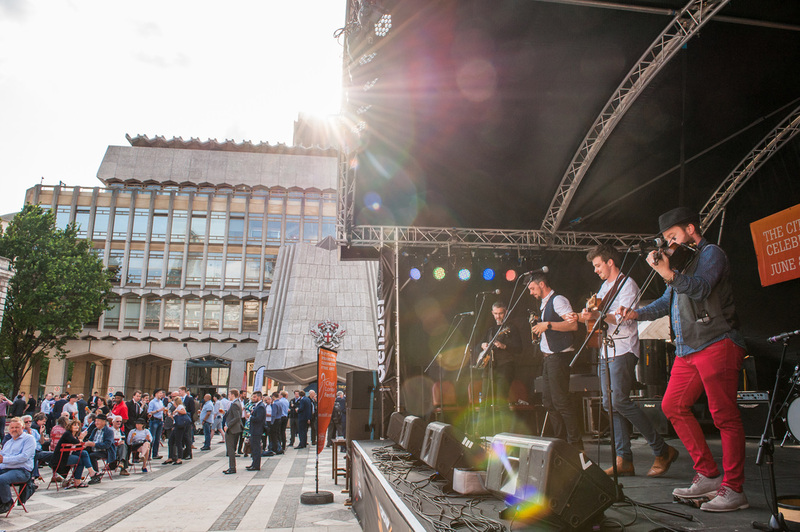 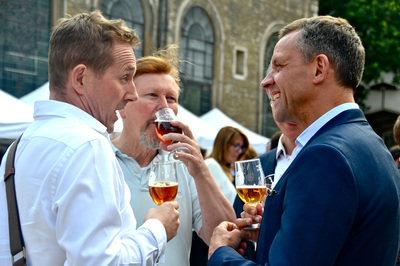 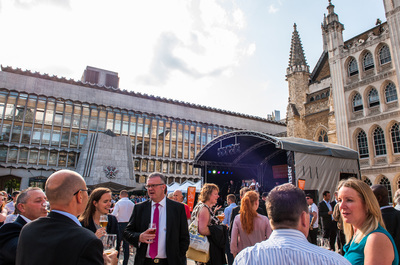 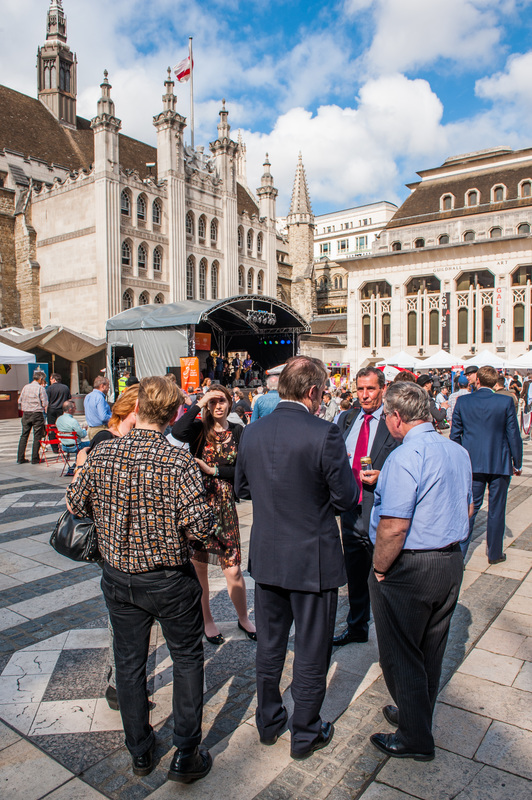 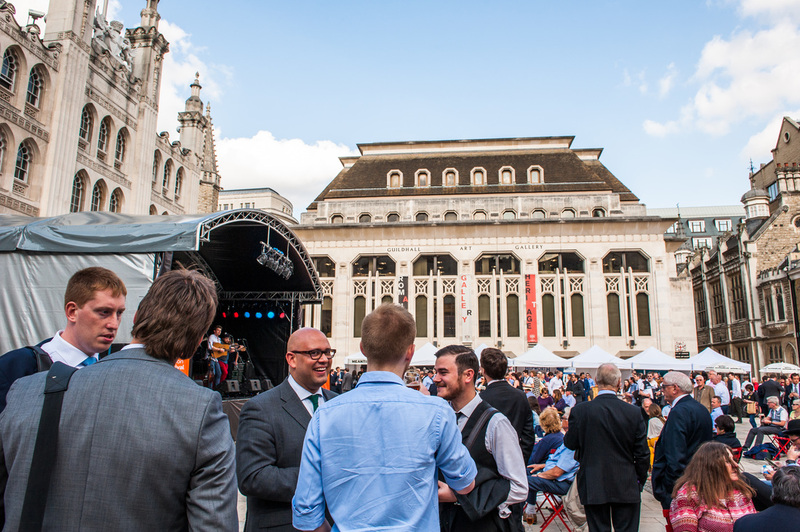 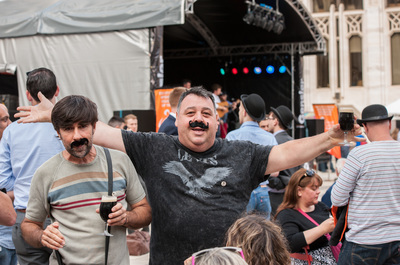 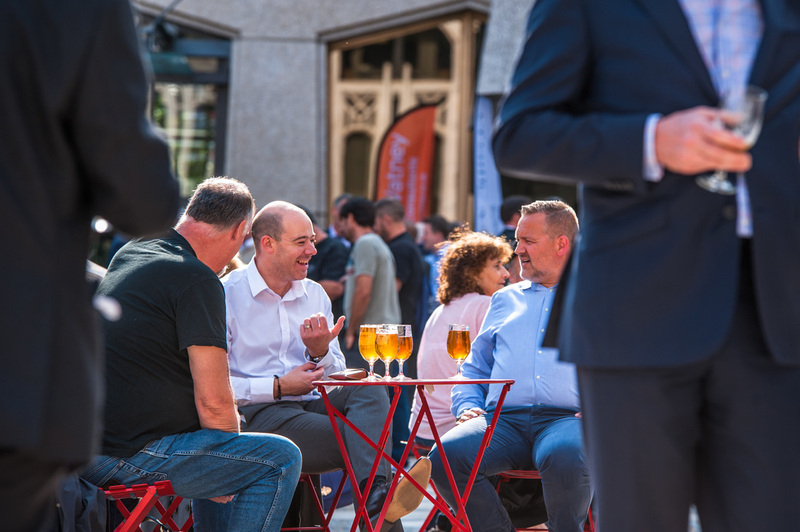 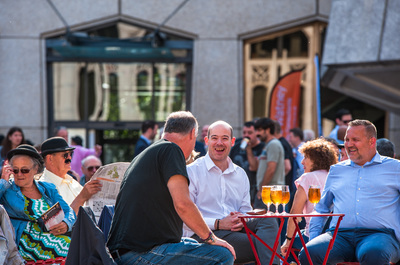 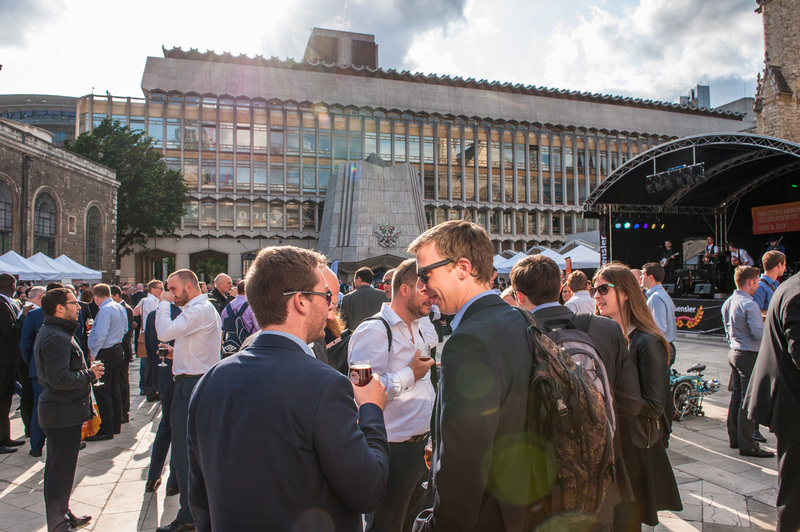 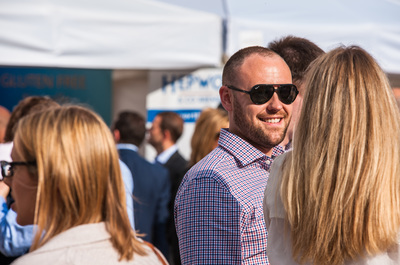 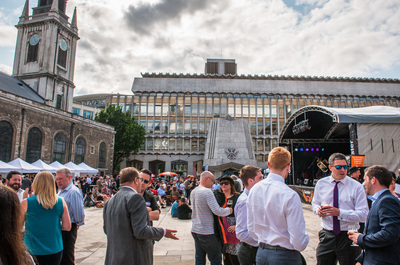 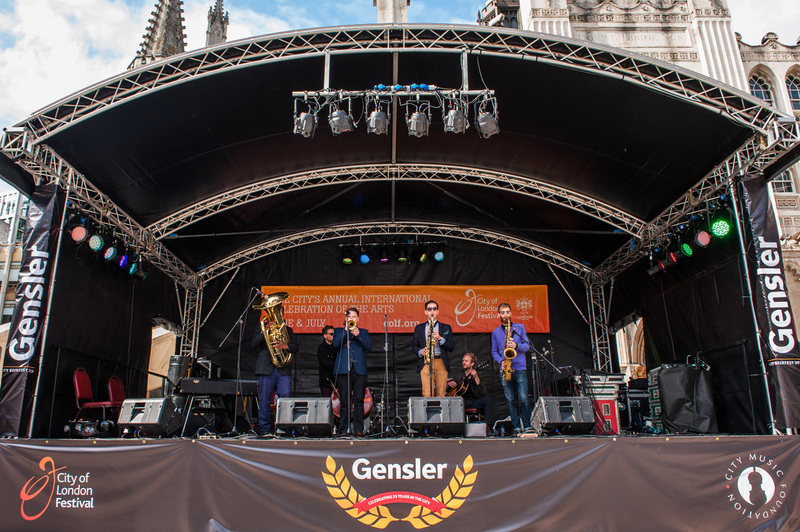 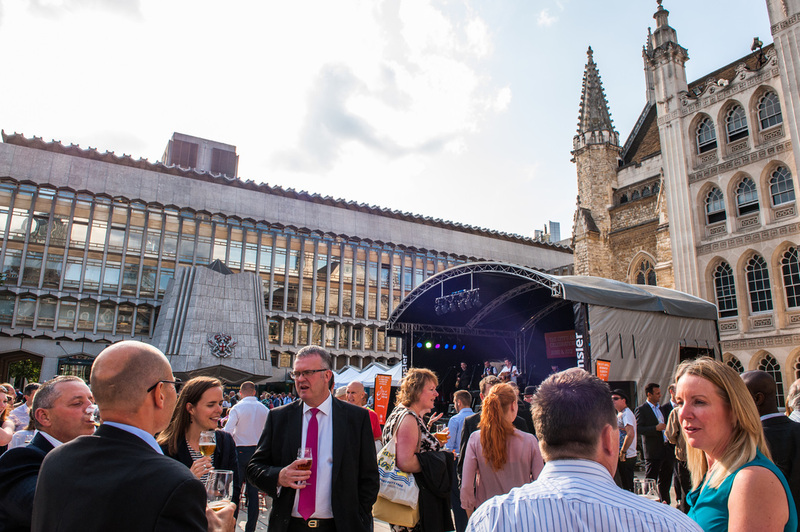 Thousands of City workers, visitors and beer enthusiasts packed out the beautiful and historic Guildhall Yard in the heart of the City on Wednesday 8th July2015 for the third highly successful City Beerfest. 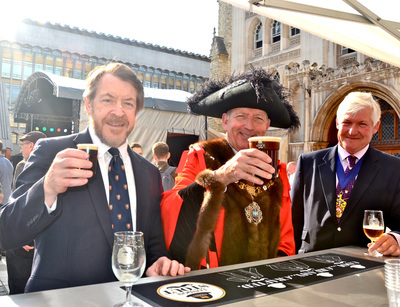 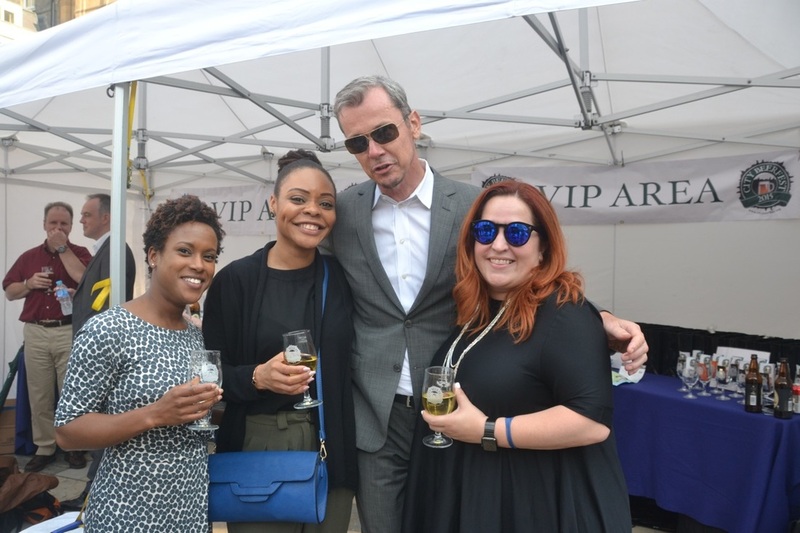 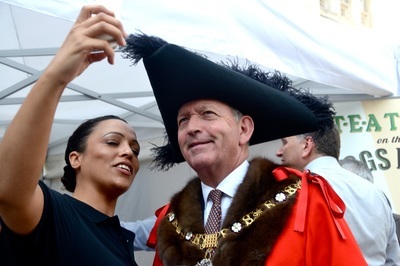 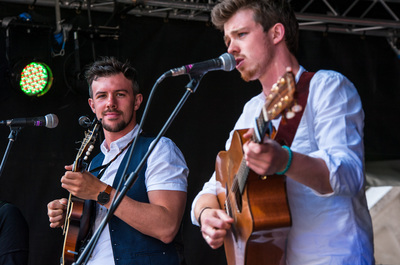 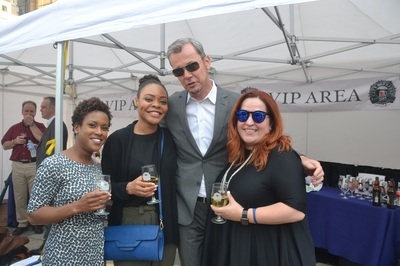 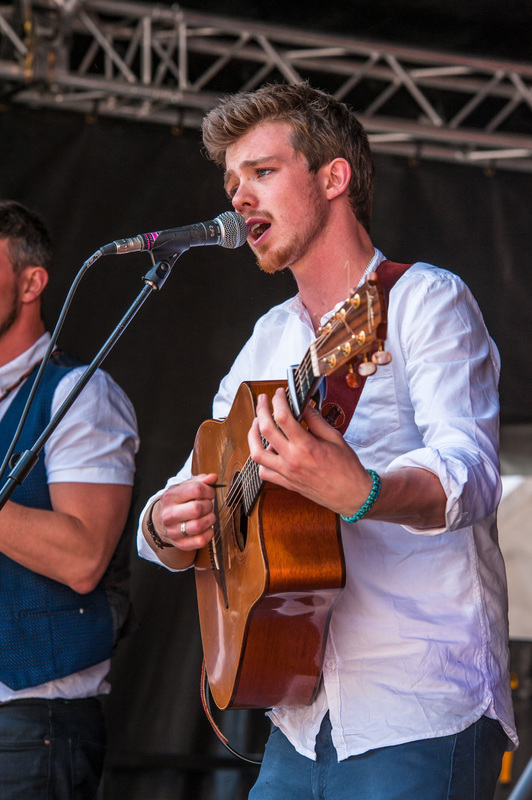 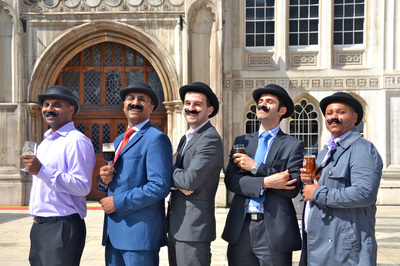 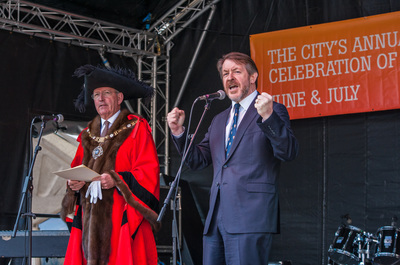 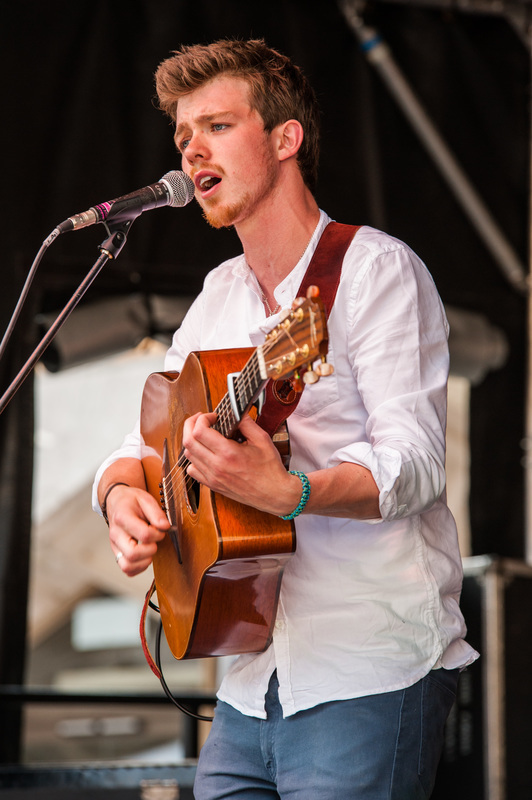 This event was organised by City Music Foundation in partnership with Worshipful Company of Brewers and City of London Festival, also raising money for the Lord Mayor’s Appeal. 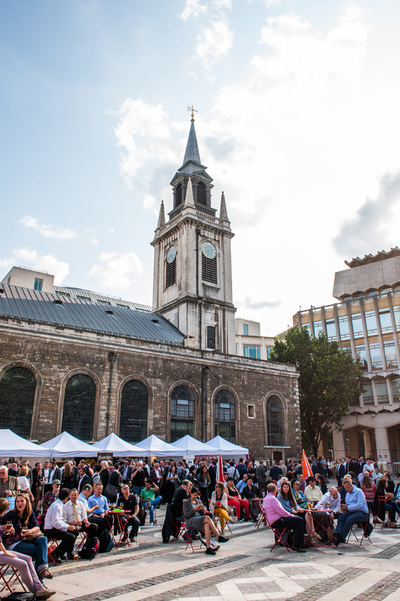 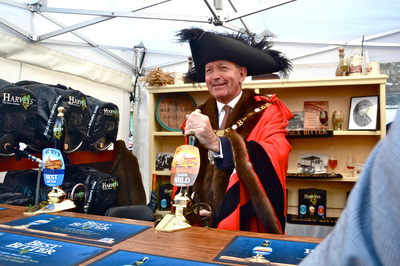 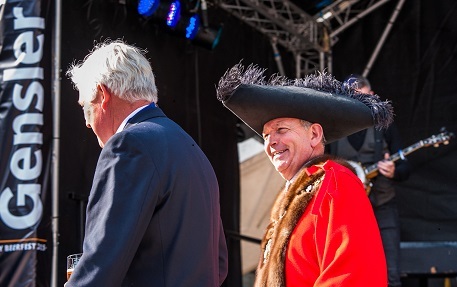 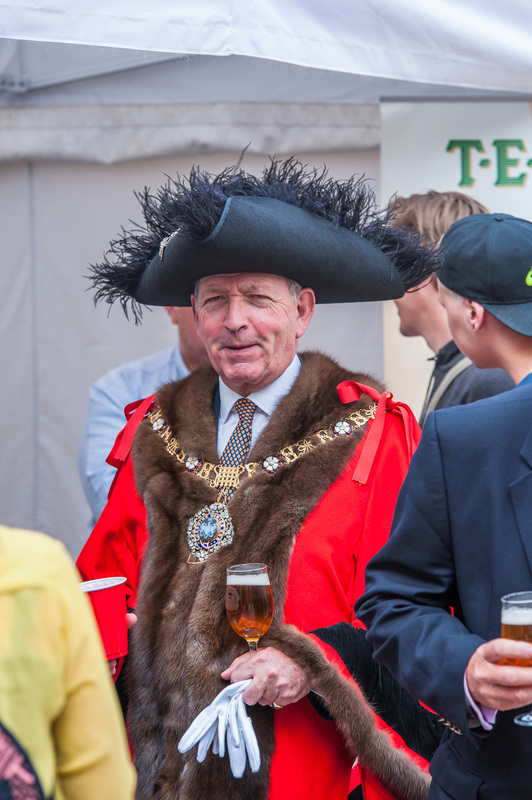 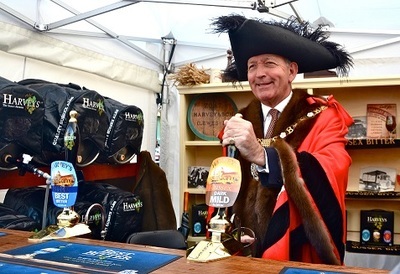 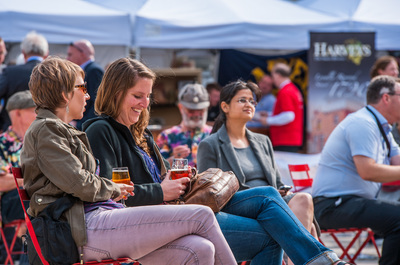 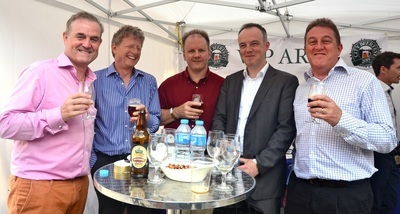 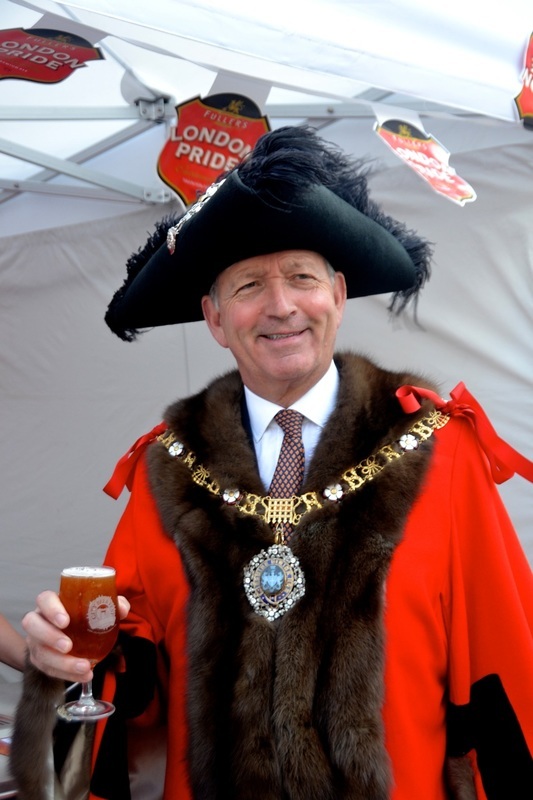 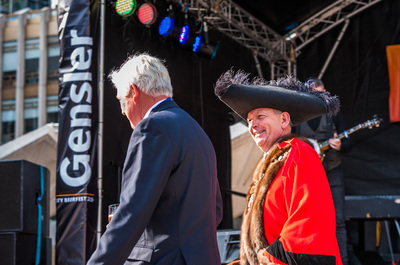 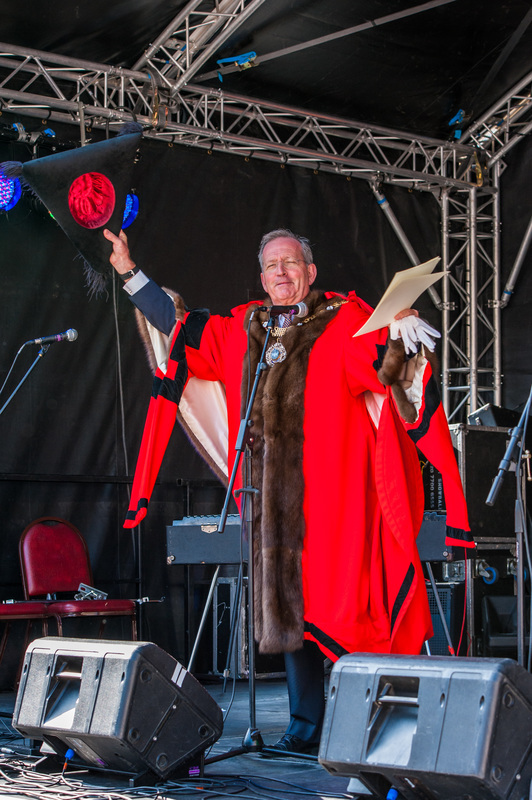 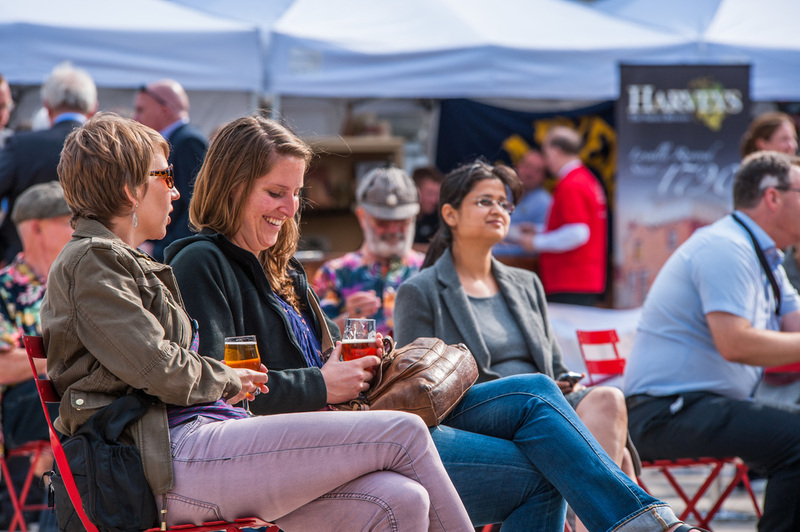 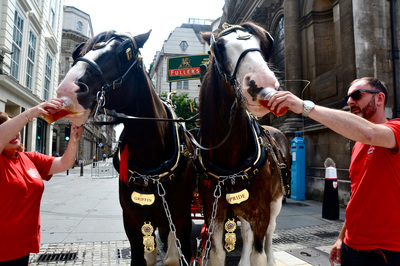 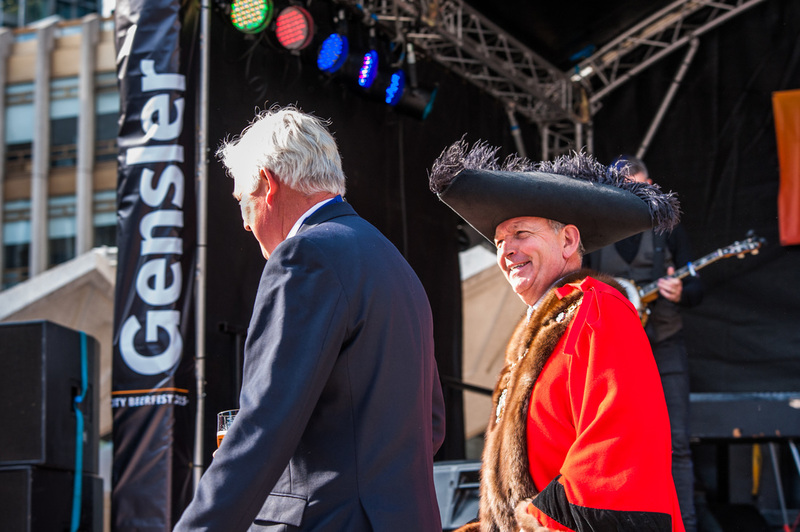 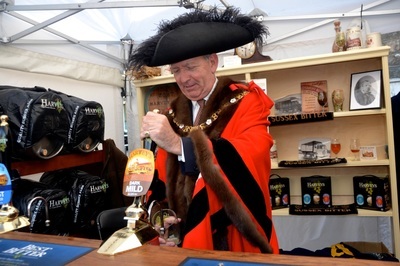 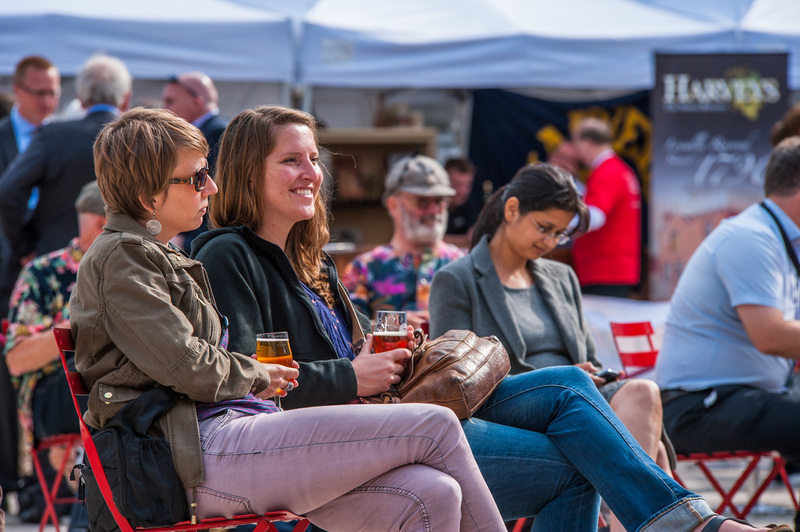 The event has grown every year and in 2015 we had fifteen breweries with an even wider range of beers; demonstrations on the ancient art of coopering; dray horses and a vintage truck driving around the City and on display, and an official opening speech from the Lord Mayor of London. 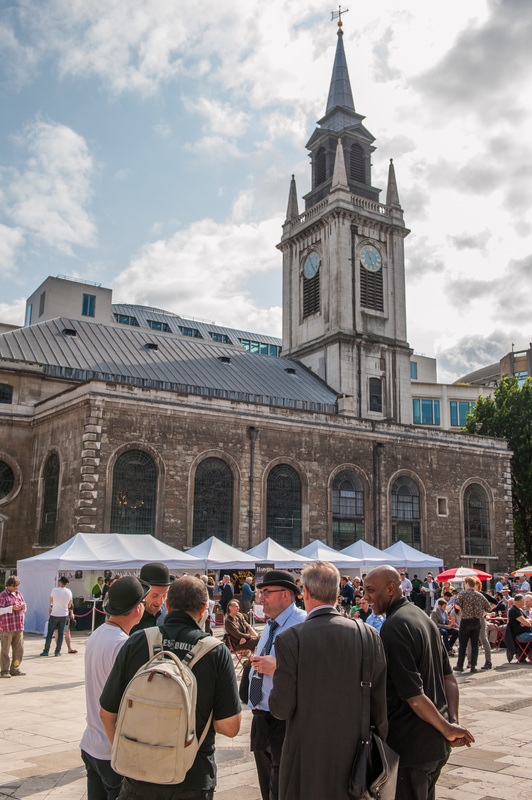 Turnout was high in spite of the tube strike and rain in the first half of the day. 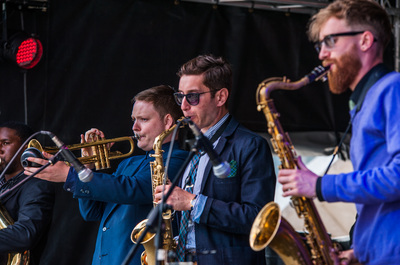 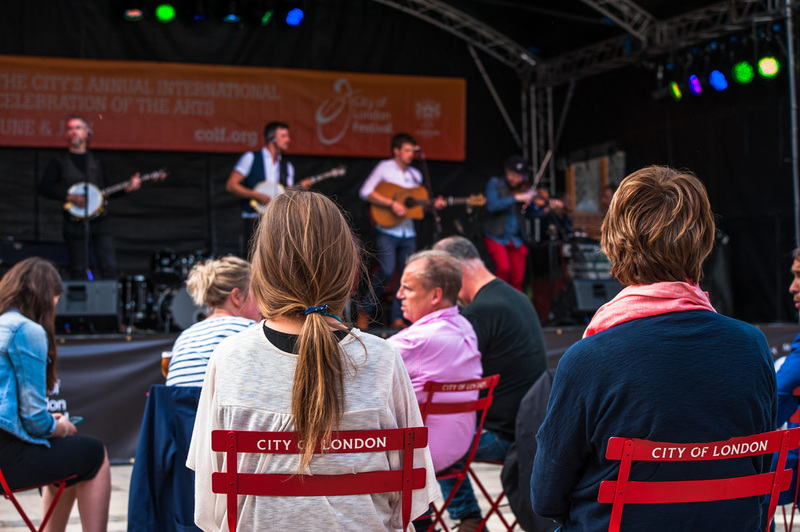 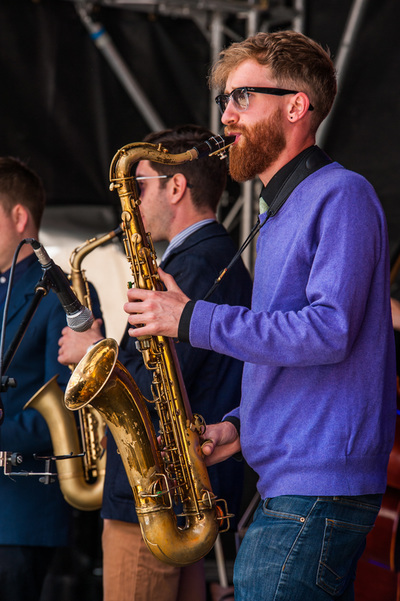 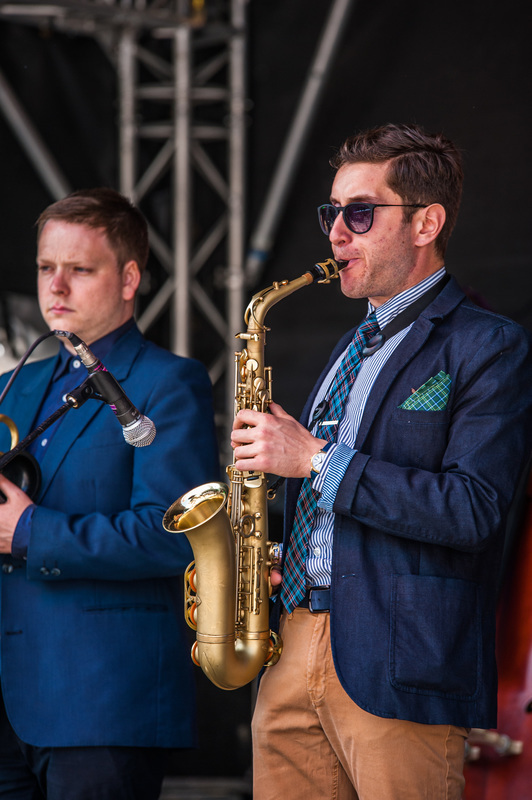 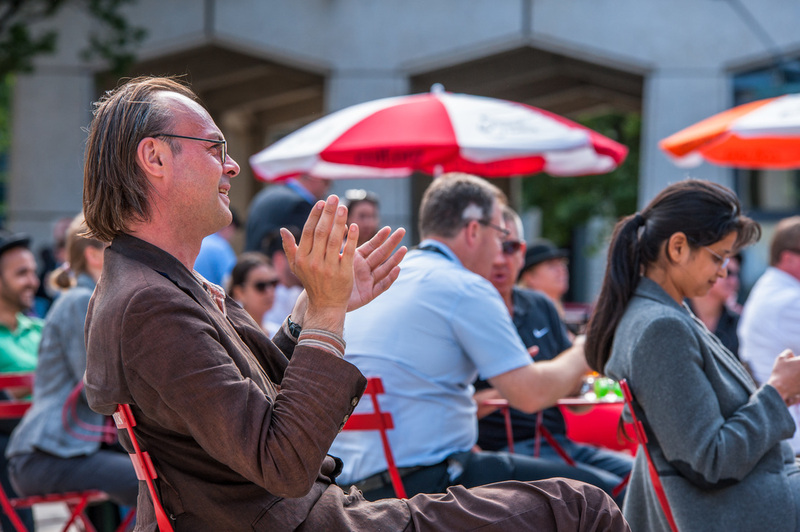 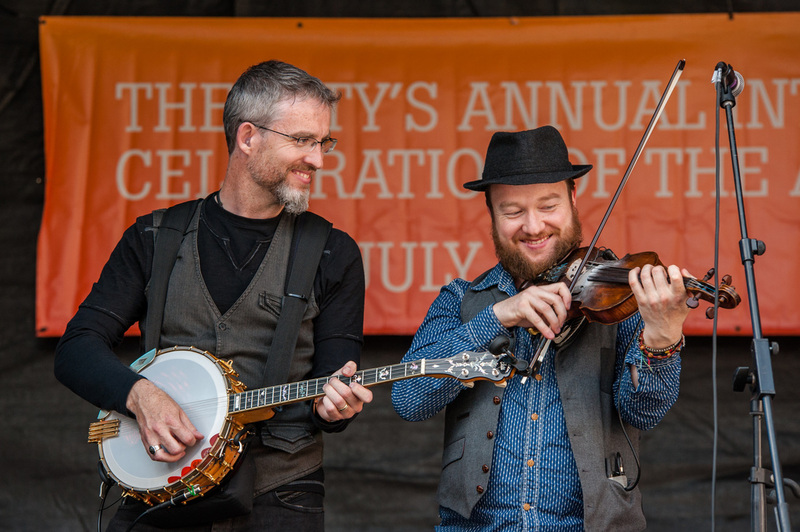 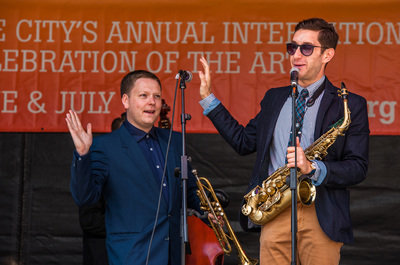 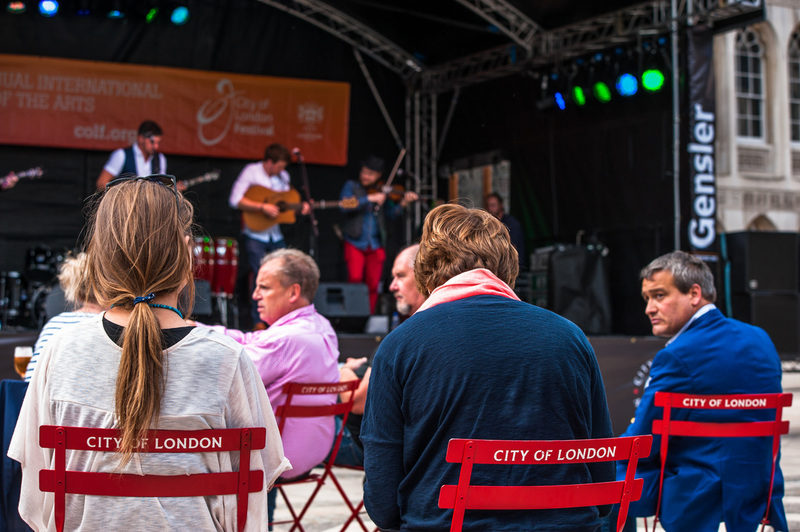 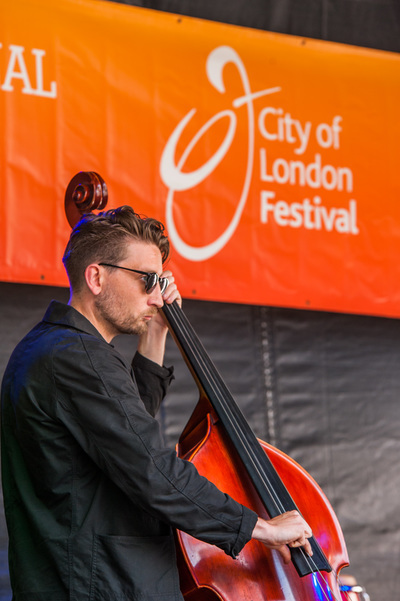 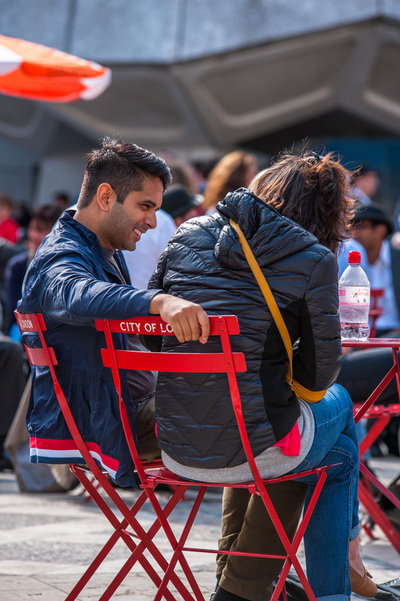 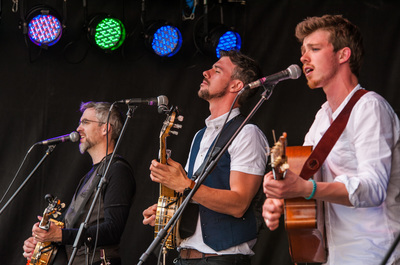 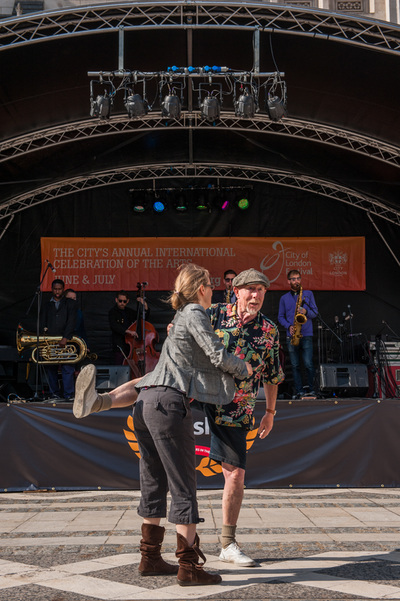 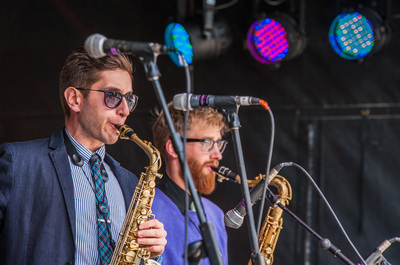 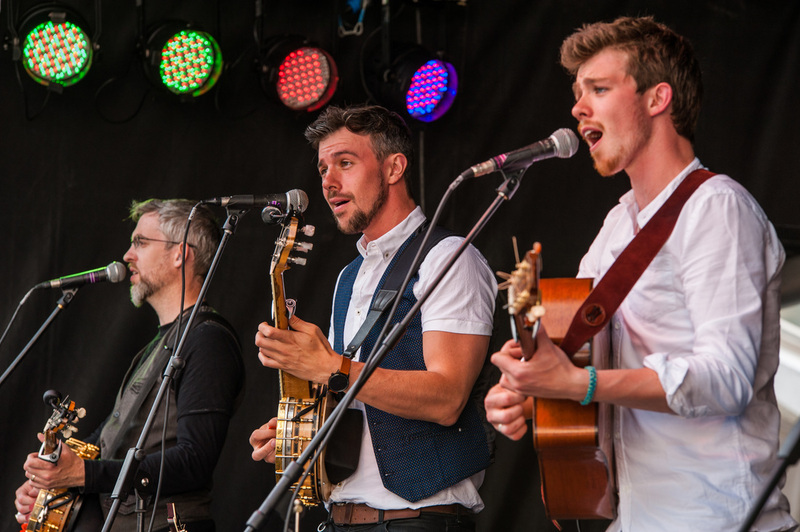 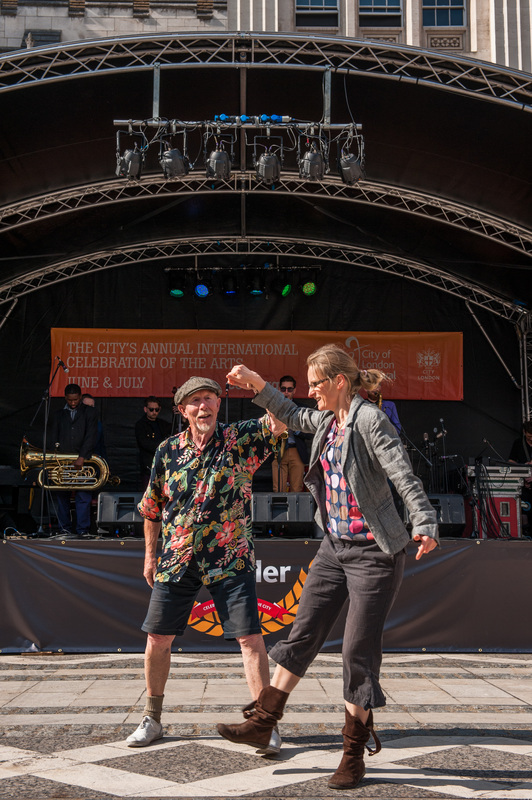 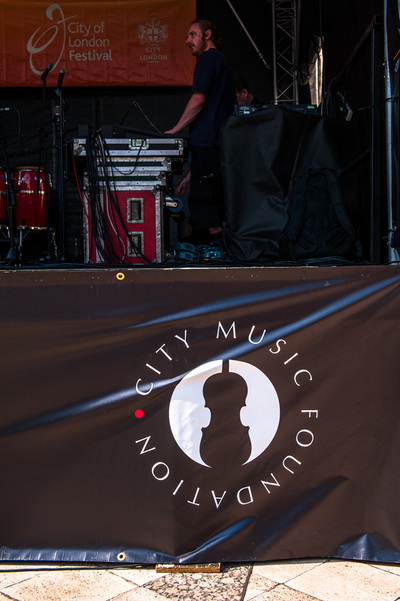 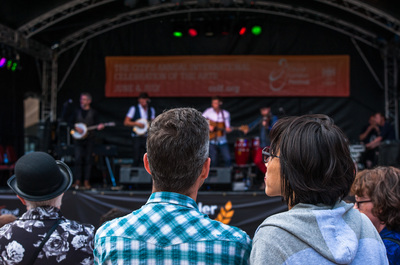 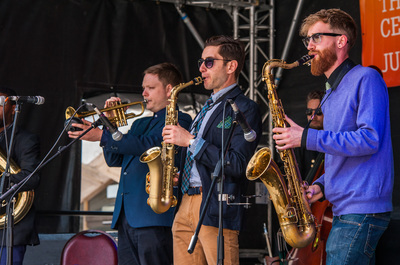 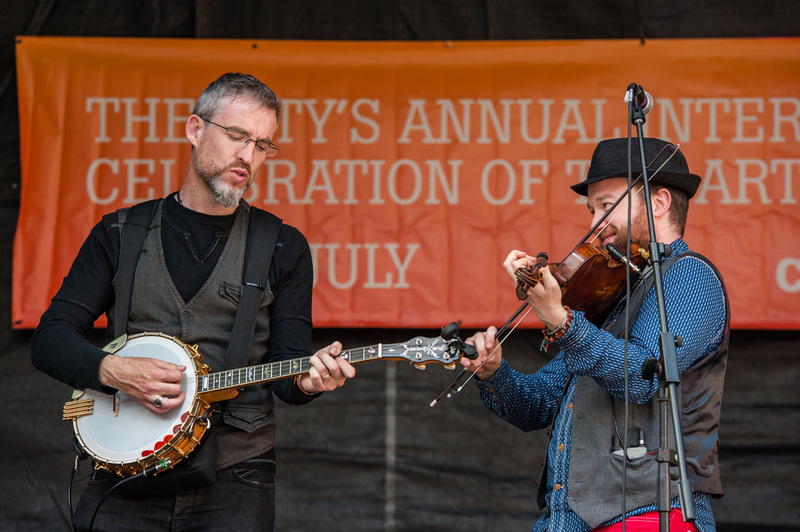 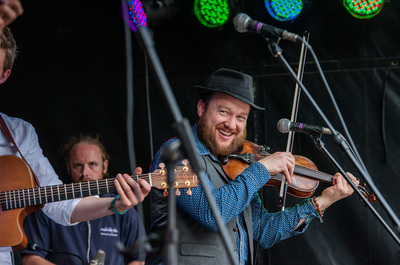 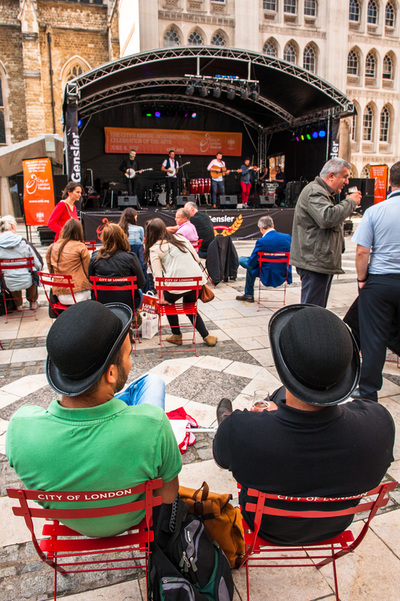 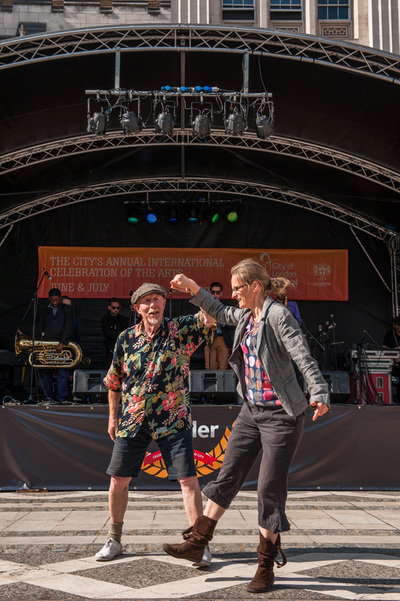 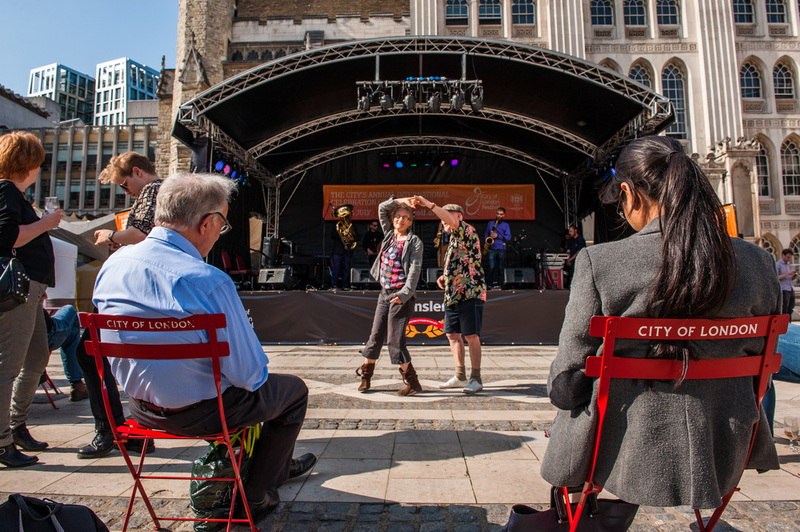 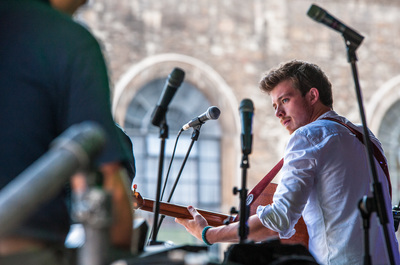 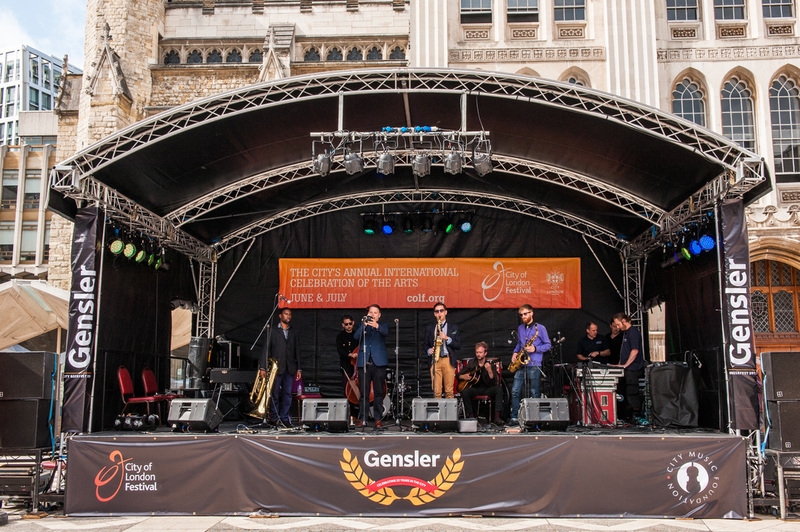 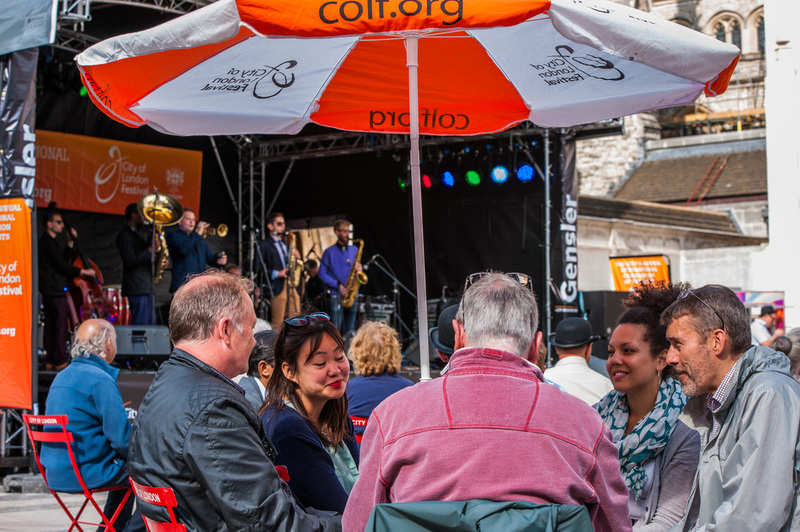 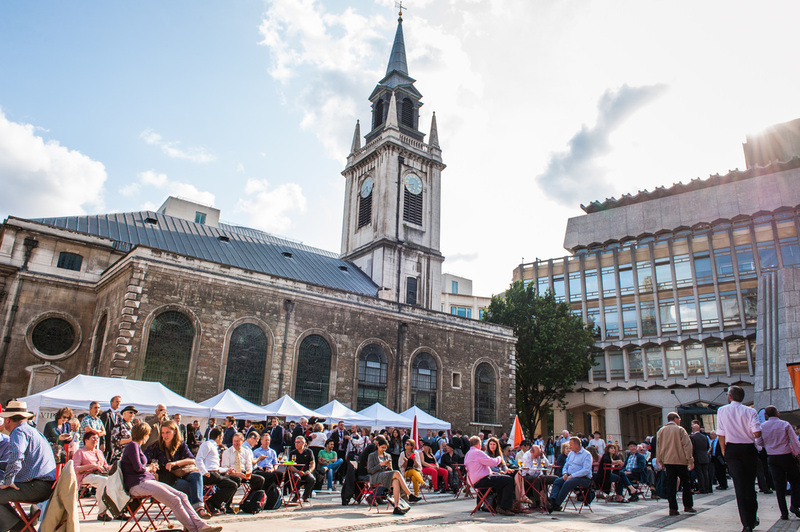 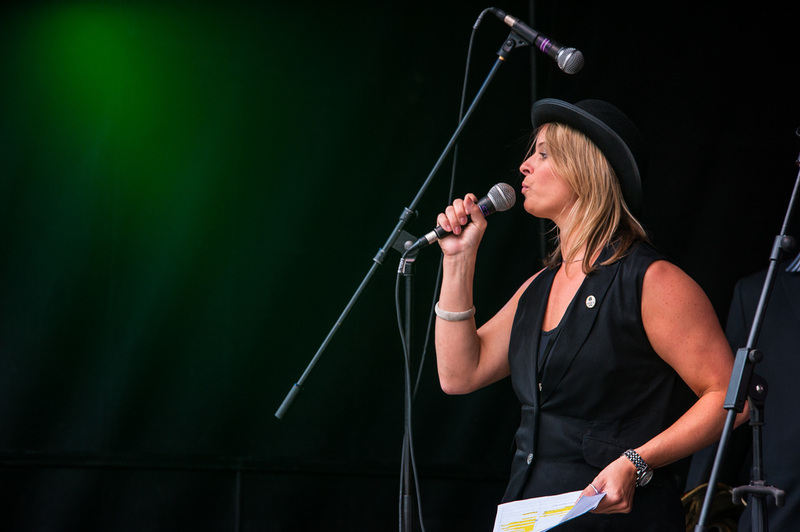 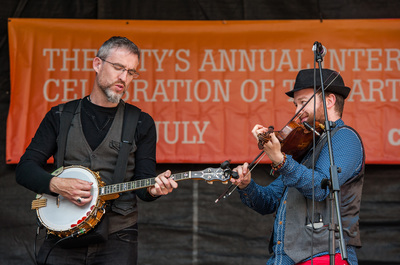 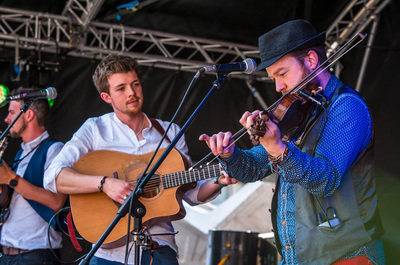 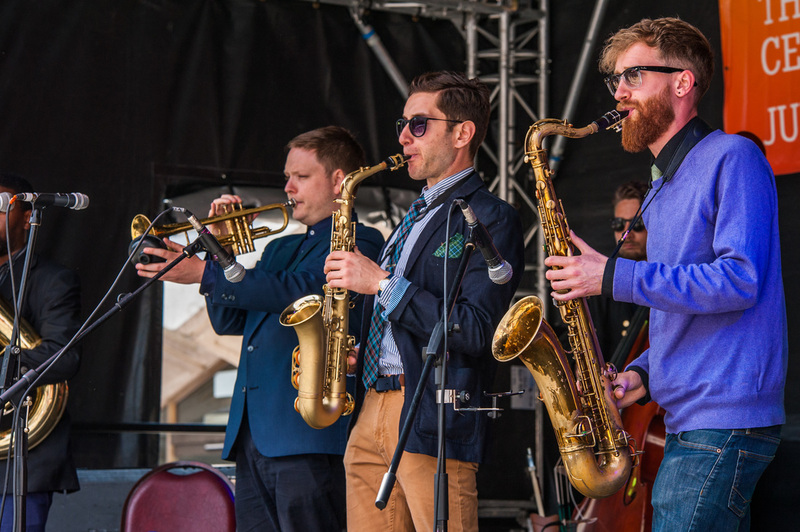 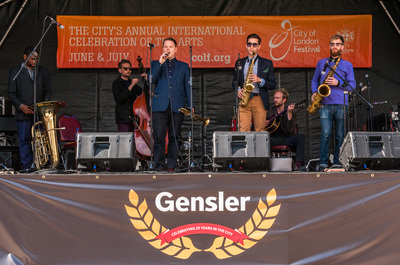 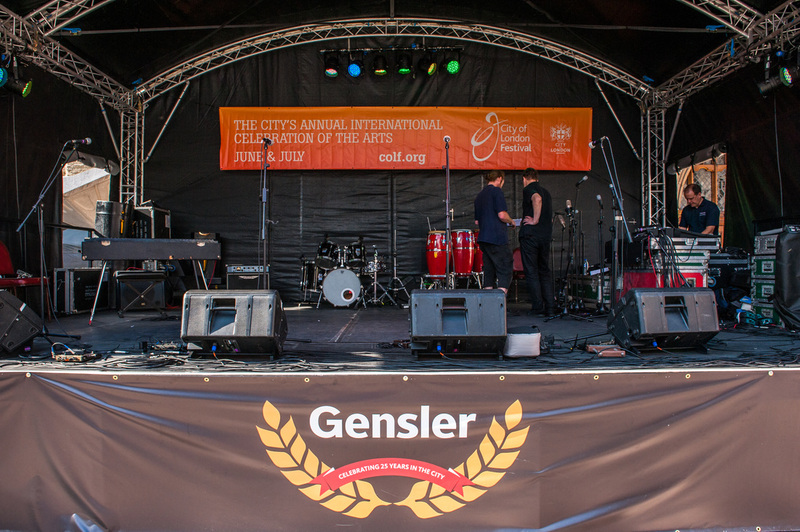 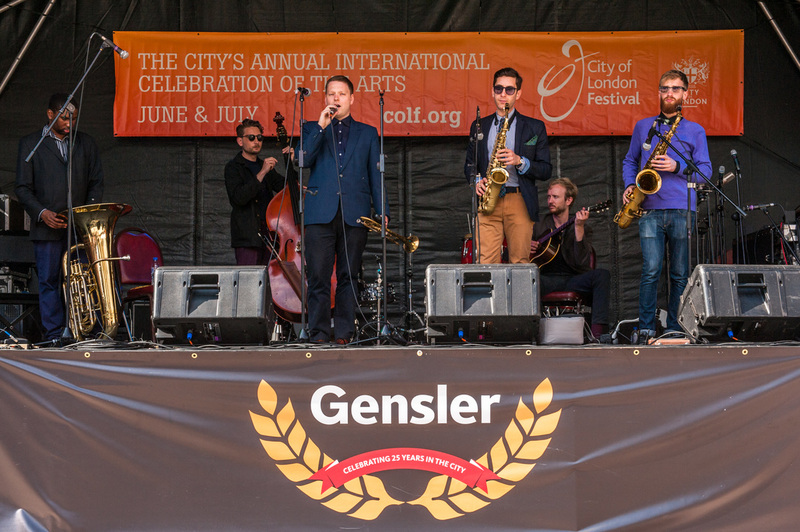 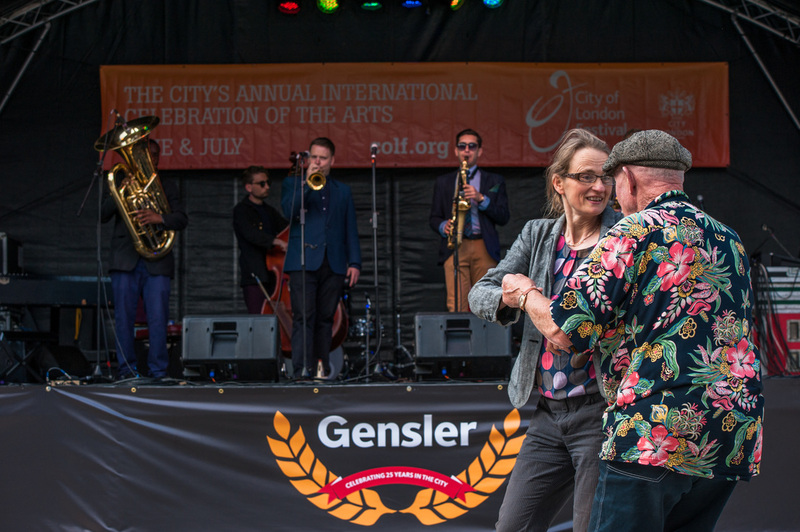 The stage and musical programme were coordinated by the City of London Festival and featured Malphino, the Kansas Smitty’s, We Banjo 3 and Omar Puente and his sextet. 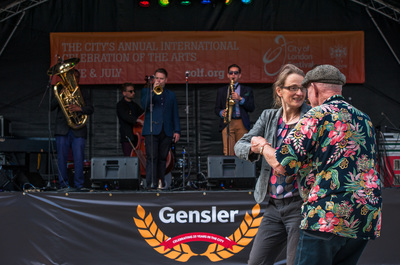 The dance floor grew as the evening went on, encouraged by an expert MC from Gensler who called last orders!